Connect YOU 2018 - Buy Now! Connect YOU 2018 lets you create rock solid PDFs, ensure your design integrity and automatically deliver your verified files to your clients and service providers! Today, designers are designing for a variety of mediums – computers, mobile devices, tablets and even for multiple browsers. What happens too often, is that the files that are sent to a media service provider don’t match the required output settings. The service provider then needs to correct the designers’ creations so that they will be suitable for print. This causes delays, frustration and annoyance for both parties. The lack of quality in the PDFs sent to production is an issue for everyone involved in the production process. The printer spends too much time and too many resources fixing PDFs that lack quality. The designer, meanwhile, experiences delays in production and a lack of control over the final output. Connect 2018 addresses the most common problems with PDF files at the source – on your workstation, where they can be easily fixed. 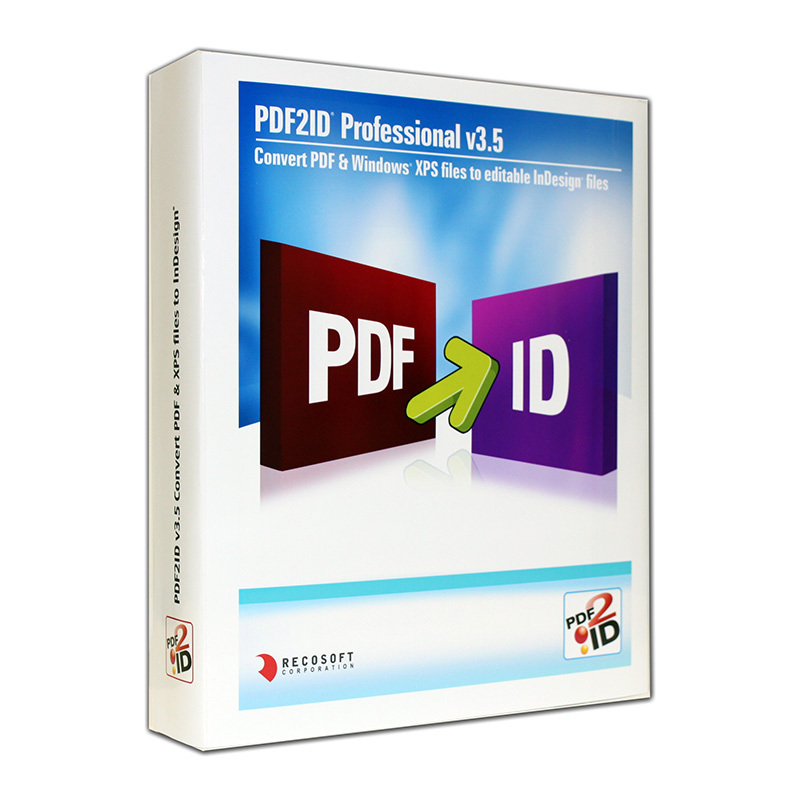 By controlling the overall PDF creation process, and tying it to the correction and preflight capabilities of the built-in PitStop technology, typical issues such as missing fonts, low-resolution images and other common problems are easily addressed before the PDF files are received by your service provider for production. Enfocus Connect creates easy-to-use applets called Connectors, that sit on your desktop and which have all the necessary settings contained within them. The multipurpose cross-platform Connectors, automatically perform a variety of tasks, including high-quality PDF creation from any application, verification, job ticketing, and automated file/job delivery via FTP, HTTP, e-mail or Enfocus Switch. Each Connector contains all the settings and information needed for every function, including log-on credentials for file transfer. The Connector appears as a desktop icon for easy drag-and-drop access, and is also accessed via either an application’s Print menu, or a dedicated “Export as Certified PDF” menu option in Adobe InDesign and Illustrator. Connect YOU creates Connectors that run on the computer on which the Connect YOU application is licensed and offers you unlimited control over the number and configuration of Connectors. 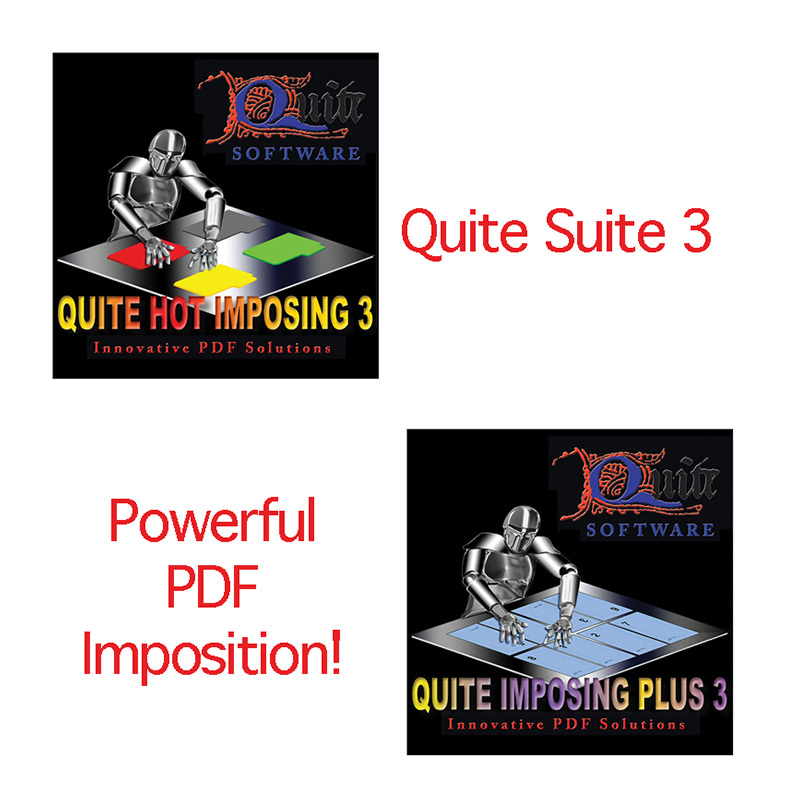 • One-click perfect PDF creation through Adobe Creative Suite or the print option of any other application, using Adobe Normalizer technology built into the Connector. • Automatic PDF correction and enhancement based on Enfocus PitStop Action Lists. • PDF verification using Enfocus PitStop Preflight Profiles. • Custom job ticket generation to help automate downstream processes. • Secure, completely automatic delivery of PDF or any other file type to (S)FTP, HTTP, email, or directly into an Enfocus Switch automated flow. 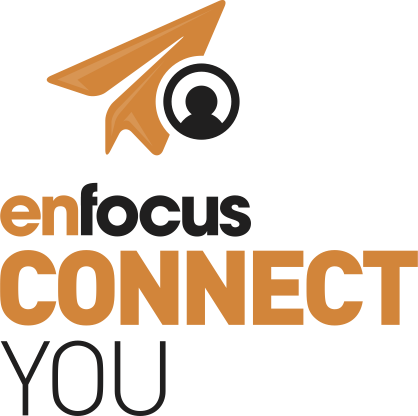 For PDF correction and verification, Connect uses Enfocus PitStop technology, which provides superior quality control for all PDFs processed by Connect. Filling out the job ticket details such as due date, quantity, paper type, etc. The Connector takes over, generating the PDF file based on the print service provider’s requirements and delivering it with the job ticket via FTP, HTTP, Dropbox or email. NO MORE HASSLE FOR EITHER PARTY! Why do you need Connect YOU? High-quality PDFs from any application. 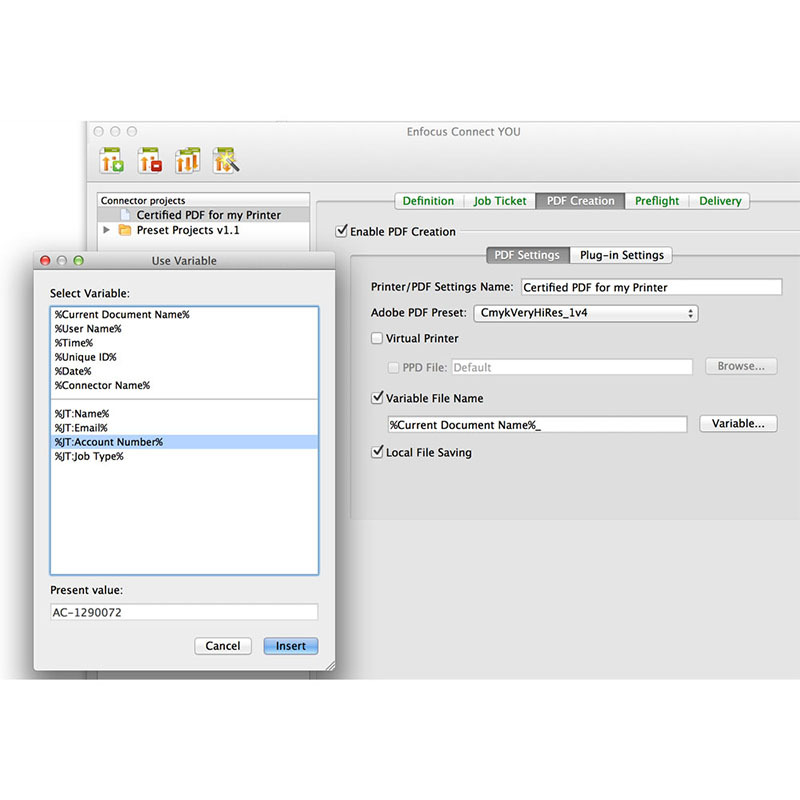 Connect YOU is as simple as choosing “print.” Using the same PDF creation engine found in Adobe Creative Suite, Connect will consistently create a high-quality PDF with a single action or command. This removes the need to check and set complex PDF creation settings. 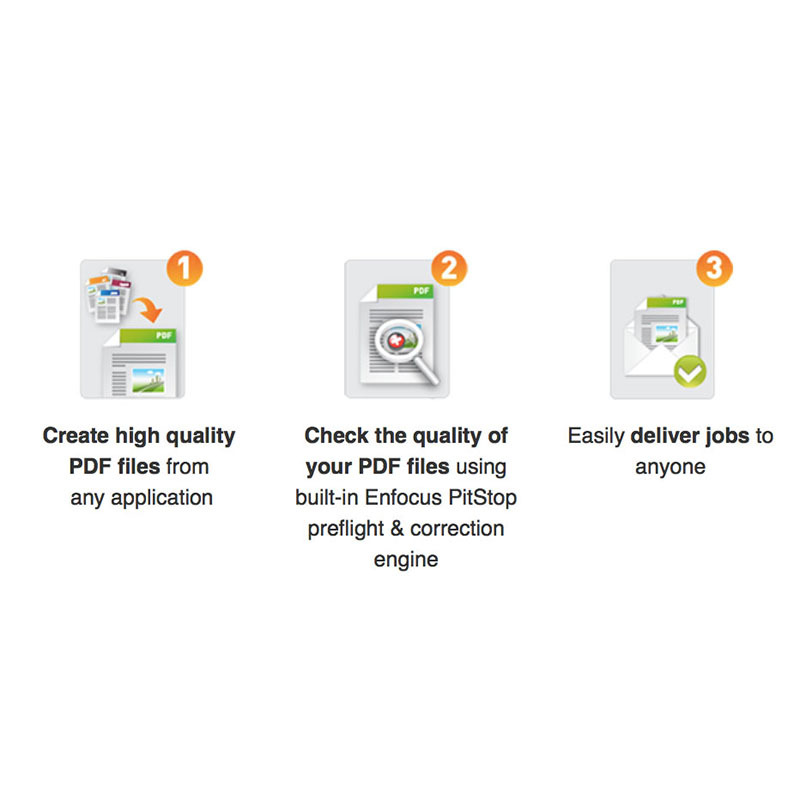 Using the industry standard Enfocus PitStop preflight and corrections engine and award winning Certified PDF technology, Connect YOU checks all PDF files to ensure fonts, colors, image resolution, page metrics and much more are optimal for print. Hassle-free job delivery in one click. Once the files are ready to go, Connect streamlines job delivery. As either part of the PDF creation process or as a standalone function, files dropped on a Connector are automatically validated and securely sent to a remote FTP server, HTTP web portal, e-mail or Enfocus Switch server. Easy for the novice. Flexible for the Pro. Not sure of what the best settings are for creating a top-quality PDF, or a simple workflow to deliver jobs? No problem. Connect comes with a library of predefined Connectors with settings for a variety of tasks and job types. Compared to other delivery solutions, Connect has got everything you need built-in. It’s the only solution on the market that unites automated PDF creation, quality control, delivery and job ticket collection. Get Connect and start simplifying and perfecting your PDF creation and delivery process!!! 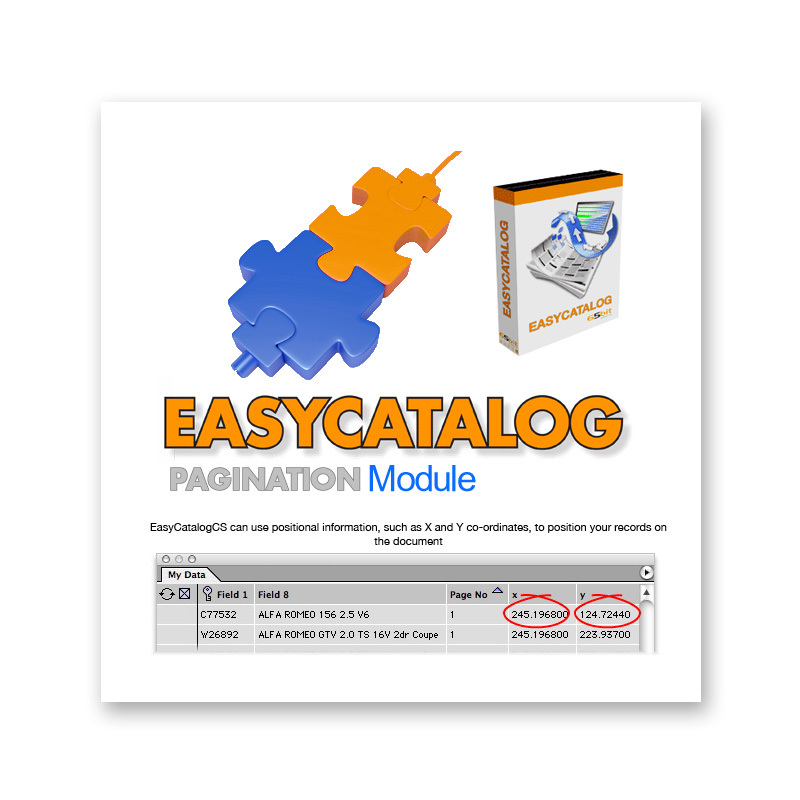 Categories: Manufacturer, Enfocus, Software Category, PDF Creation, Print, Prepress & Publishing, Output Tools, PDF Tools & Utilities, Preflight & File Checking. Tags: Adobe, Compliance, Conversion, Convert, Correct, correction, Enfocus, Output, PDF, preflight, Preflighting, Publishing.